The public out outcry Apple and Foxconn have faced over the working conditions Chinese workers face, which included complaints over working conditions, rumored riots, and even suicides, may soon come to an end as report suggest that Foxconn might do away with the 'human factor' all together. TechCrunch, via Singularity Hub, is reporting that Foxconn has been planning to buy 1 million robots to replace some (if not all) of their 1.2 million human workers. According to the report Foxconn’s President Terry Gou already had plans in place aiming at replacing more than 1 million Foxconn workers with robots within the next 3 years but those plans hadn't been put into motion until now. Reportedly the first batch of 10,000 robots — aptly named Foxbots — appear to have been installed into at least one of the company's factory, and by the end of 2012, another 20,000 more are planned to be installed. Details in the report are a bit sparse. Apparently Foxconn is building the robots in house so information on their capabilities is fairly limited. It is speculated that the FoxBots that have been installed were designed for simple, yet precise repetitive actions common for simple manufacturing robots (lifting, selecting, placement). 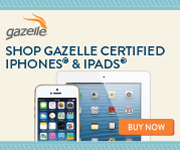 This means they may be well suited for assembly of things like your iPhone or iPad. Given the bad PR Foxconn has received along with Apple reportedly complaining of productions issues with some of their plants it’ll be interesting to see where this goes and what the worldwide response is. Certainly there will be those who worry that the influx of robots an automation will have the similar negative impact in manufacturing jobs we've seen elsewhere. But there will undoubtely be those that think this move will greatly improve woeking conditions for the remaining human workforce.